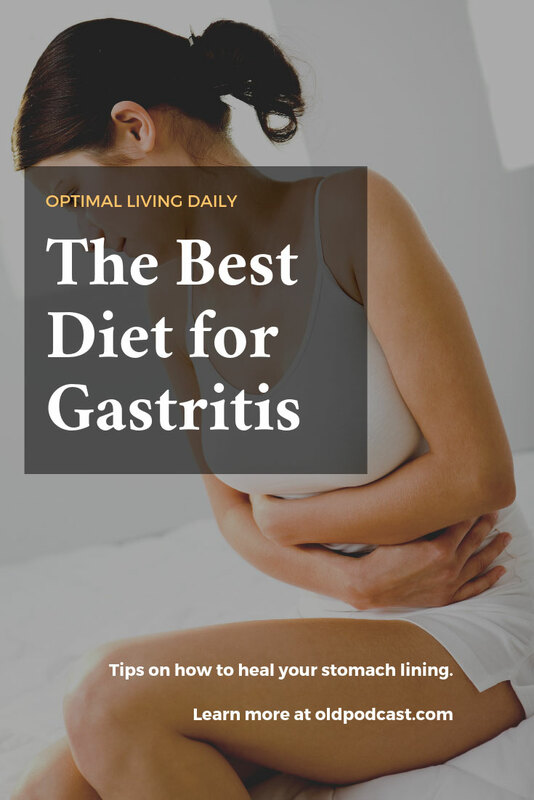 Gastritis often occurs with an H. pyloria infection, but can also be caused by stress, anti-inflammatory drugs, alcohol, and more. H. pylori is a specific bacterium that we know often causes gastric ulcers, meaning ulcers found in the stomach. It can also cause the uncomfortable condition known as gastritis. We used to think that ulcers were caused by eating spicy foods, for example. Indirectly it can. This is because when we’re stressed out, the body’s defense–the immune system–can’t function as well. This means potentially harmful viruses and bacteria, like H. pylori, can settle in because the immune system isn’t strong enough to handle it. Listen to Dr. Neal address this topic on Episode 705 of the podcast Optimal Health Daily. Sadly, even after being cleared of the H. pylori bacterium, you can experience some not-so-fun side effects. As mentioned before, a common one is gastritis. A gastritis diagnosis means that the lining of the stomach is irritated and inflamed. In other words, it truly isn't pleasant. Luckily, there are some things you can do to help yourself feel better. No, that age-old remedy of drinking milk doesn’t actually help. In fact, if you’re even mildly lactose intolerant, you may feel worse! Here’s what we know seems to help. For most people, high fat foods (like fried foods) can worsen gastritis symptoms. The same goes for spicy foods. Acidic foods, like oranges and grapefruit, as well as carbonated drinks like soda can aggravate the symptoms, too. Coffee can also be a culprit. I love my coffee, so this was a real problem for me, personally. There may be other foods that you know prevent you from feeling your best. If you are willing and able, keep a food diary to see if your symptoms get worse when you consume these foods or any other food. I should also mention that between the esophagus (which is that long tube that connects the mouth to the stomach) and the stomach itself is a muscular area that opens and closes. When it’s open, it allows food and drink to enter, but once food has entered the stomach, it closes. Alcohol can actually prevent the complete closure of this area. It means that food which has already entered the stomach can easily back up into the esophagus. This can lead to more uncomfortable feelings like heartburn. Gastritis can make you feel full way before you’ve consumed enough calories. It can be helpful to consume smaller meals, but more frequently. Again, it would be helpful if we think about removing fried and spicy foods from these meals. You can probably add them back in once you start feeling better. If you can drink water after you eat (instead of during your meals), that may help prevent you from feeling full too soon also. Your doctor may also recommend over-the-counter antacids or even prescription antacids to help with gastritis. Just be sure to let him or her know if you do plan to take any over-the-counter antacids.